At this point in today’s society, one of the most important questions in the world is, “what is there to watch on TV?” With so many channels and streaming services like Hulu and Netflix, choosing what to watch has become very difficult. For me, and many other sports enthusiasts around the world, sports make up a huge chunk of the television we watch, and each person has their own personal favorite sport to watch. I do believe that there are certain sports that are the best to watch, but I also believe that all sports can be very interesting. Of course, not all sports are always great to watch. Many people struggle to watch baseball, tennis, golf, and countless other sports. However, these sports can be exciting at times, just as many other sports can be dull at times. When the World Series rolls around each year, all baseball fans come together and watch the best-of-seven series, which is normally very entertaining. For tennis, diehard fans can watch almost any match of tennis, but for people not as fond of tennis, they may only tune in for Wimbledon or the U.S. Open, or just not watch at all. Lastly, golf has a stigma for being one of the most difficult sports to watch because it is a slow and methodical game, but if Tiger is on the 18th hole going to for win on Sunday, wearing his signature red Nike polo, who is not tuning in? These slower and more individualized sports need to be appreciated just as much as other vastly televised sports. Basketball, football, hockey, and soccer tend to receive more praise for being entertaining to watch on television, but in all reality, they can be very dull at times. The NFL is one of the most popular leagues in America to be viewed on TV, but there are many examples of it being boring or hard to watch. No offense Mrs. Barbieri, but over the past few years, almost no one, not even diehard Cleveland Browns fans, wanted to watch those losses. Soccer has one of, if not the, largest followings in the world, but even so, it can be very boring at times. In the U.S. especially, soccer is simply a sport to watch everyone time the Olympics or the FIFA tournament (if the U.S. team qualifies) rolls around. Honestly, does anyone actually watch the MLS? As for basketball, which I believe is easily one of the best sports to watch on TV, it can definitely become repetitive and boring. Matchups are a huge factor in whether or not to watch an NBA game because I do not believe anyone wants to willingly watch a Pistons/ Cavalier game (now that LeBron went West). Finally, it is very tough for me to say anything negative about hockey, considering it is my favorite sports to watch, but in all actuality, I only watch one team, the Tampa Bay Lightning, and I would find it difficult to watch another team. Sports, even the best ones, have their moments of being hard to sit through. The world has come to believe that almost all discrimination needs to be eliminated from society, and I feel that sports discrimination needs to be taken out as well. 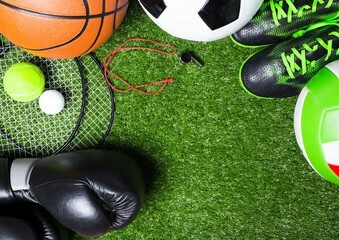 All sports can be very entertaining, and they all should considered equal. No matter how boring a sport may seem, any sport can become captivating under the right circumstances.